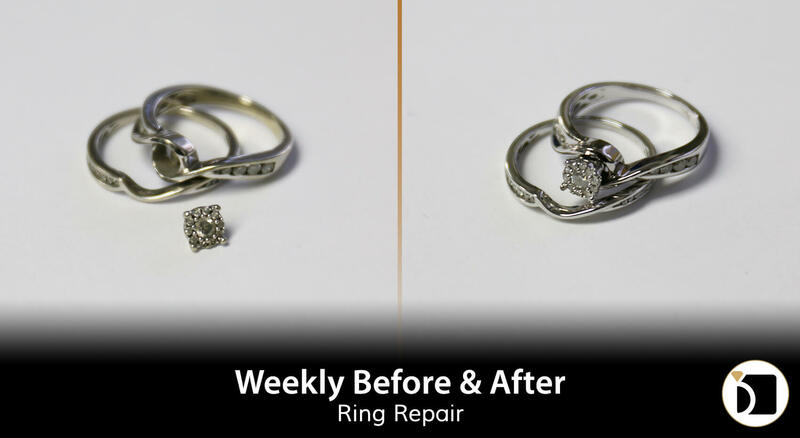 On this edition of the Weekly Before & After, we have a 10k white gold 2 piece wedding ring set that had the center stone fall out. For this repair we had to solder the head carefully, and reapply the metal stamp. Once this is done it is carefully expected by our quality assurance team.